The best discount Brake Booster OEM Parts. 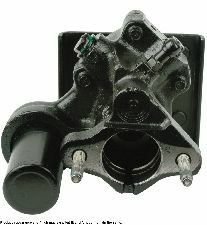 Our inventory is always being updated, searh for Brake Booster parts for the following makes. A brake booster handles the high volume of brake fluid used when you apply pressure to your brakes. It amplifies the force used on your brake pedals, making it easier for the driver to apply pressure to the brake. When should you replace your Brake Booster? If you're noticing that it is extremely difficult to press down on your brake petal or your vehicle seems slower than usual when coming to a complete stop it is time to inspect your brake boosters. The brake pedal is very difficult to press down. Your vehicle has difficulty stopping, making your brakes seem less effective. Your engine struggles or stalls when applying the brakes.